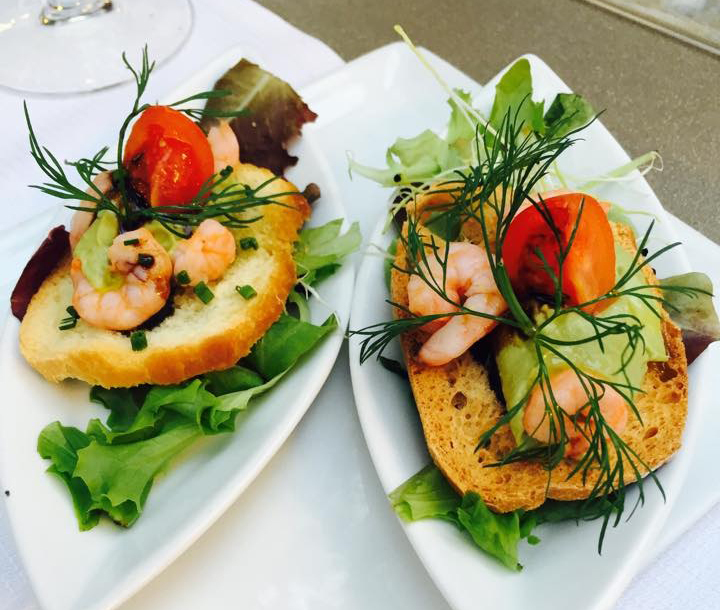 We ventured to the beautiful French Riviera for three nights – two in Nice and our last in Cannes. 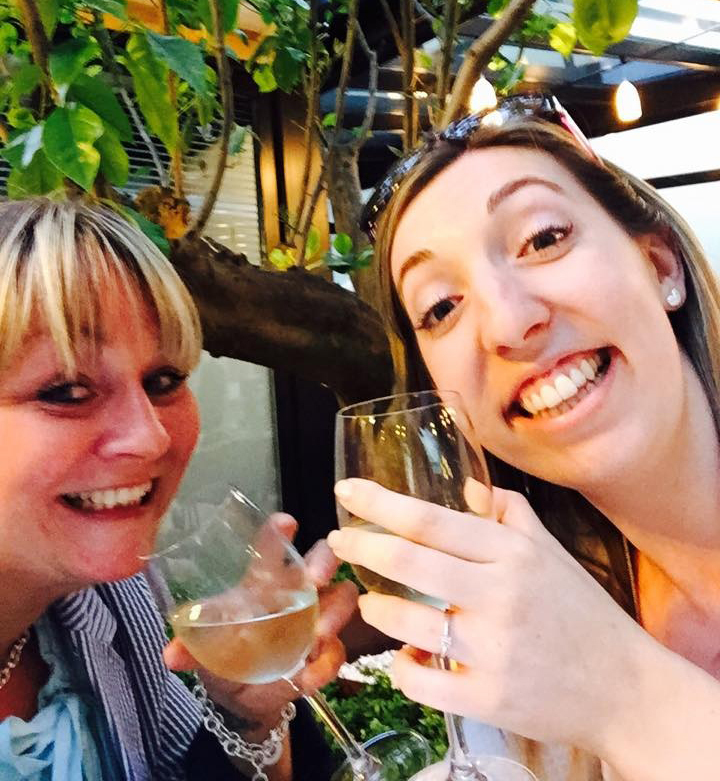 As soon as we stepped off the plane the warm weather hit us – we were officially on holiday! We headed straight to our 4-star Hotel La Perouse in Nice from the airport where we were staying for the first part of our trip. Our sea view room couldn’t have been any more perfect – from the fresh pastel colours to the incredible private terrace overlooking the Mediterranean Sea. We could have stayed here all month! Our first stop was to check out the hotel facilities (roof top Jacuzzi, outdoor pool, gym) and do a bit of people watching, so we sat in ‘Le Patio’ which was their restaurant/bar for a chill and spot of lunch after travelling. Then once we were fuelled up we took the bus from Nice to Monte Carlo for the day which was only 1.50 Euro each way and takes around 50 minutes right into the city centre. 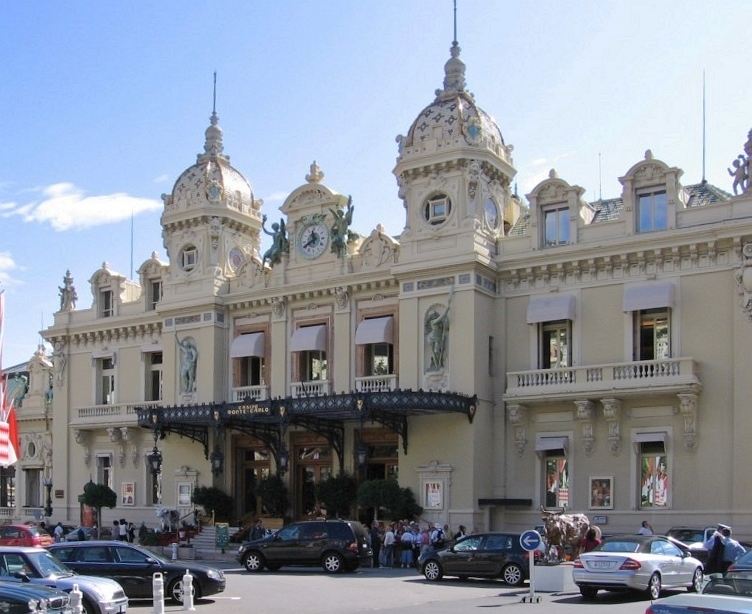 Once we arrived in Monte Carlo we thought we would head to the famous casino to see what all the fuss was about. Full to the brim with lavish cars and well-dressed suited and booted men the whole area looked like it was taken from a movie set. Unfortunately we didn’t have time to go inside, but do note there is an entrance fee if you want to have a look and wander about. 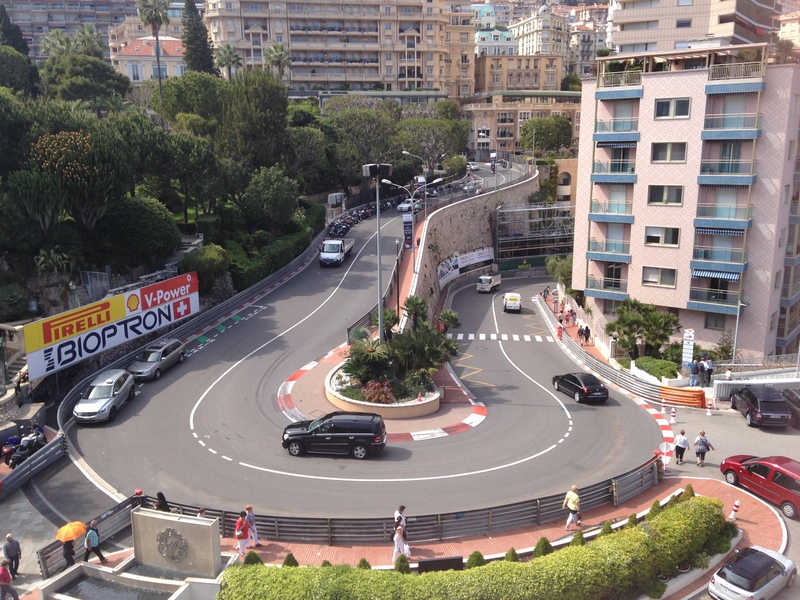 Whilst finding our bearings in the heart of Monte Carlo we couldn’t help but notice all the extravagant set up for the fourth coming Formula One Grand Prix beside the Fairmont and Hotel Hermitage which was due to all kick off next weekend. If only we could stay for another week! As it was getting late we decided to head back to Nice by train this time – which we much preferred over the bus as it was only 35 minutes and gave us really nice views on the way back. Once off the train we stopped off at a local pizzeria in the Old Town (Vieille Ville) in Nice for dinner before we crashed out in the room on our huge comfy beds ready for another busy day ahead. On our second day after a good night’s rest we wanted to explore Nice further so we headed straight to the ‘Promenade des Anglais’. It stretches for about 3 miles across the coast where you can hire bicycles to see it all or like what we did take a slow wander past the numerous restaurant, bars and shops in the beautiful sunshine. We picked out a small little café right on the edge where we had some delicious fresh local seafood for lunch. Third day we checked out our hotel and took the train to Cannes, this by far was the hottest day – it felt like we were in the heart of summer so we couldn’t complain, but we did forget the sun cream! If your one for a designer shop you’ll be in your element in Cannes, Rue d’Antibes is very much the place to be. With the likes of Hermes and Dior at the top of the price scale to Zara and Mango leading the high street, there is plenty of shops for every budget to keep any shopper amused. 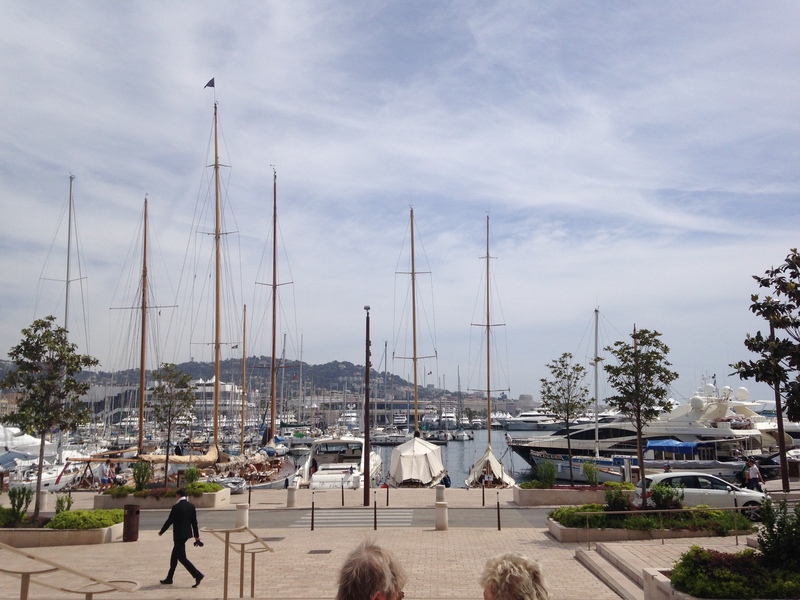 Since it was such a sunny day we thought it was the perfect opportunity to head to the harbour – we were amazed at all the fabulous yachts that were on show so we wandered as far down as possible for a good look and to see if anyone would invite us on board – but no luck! That night we wandered along from our new hotel for the night (5-star Grand Hyatt Hotel Martinez) to where they were setting up the Cannes film festival, Palais des Festivals et des Congrès, which took around half an hour to walk and saw some great street acts who were break-dancing and others that were performing acrobatics. It was fairly quiet so we stayed around this area for a good look in the shops and then headed to a bar for a relaxing glass of wine outside while watching the world go by. Then as soon as we knew it was time for bed and next stop in the morning was back to Nice Airport to take us home to Edinburgh! We absolutely loved our time away, the French Riviera is a beautiful place with plenty to see and do, a great city break for couples or friends alike that are after some sun and sightseeing over a couple of days. We will be sure to return soon! To find out more about any of these cities or other destinations call our expert team on 0131 243 8098 or request a tailor-made itinerary online.